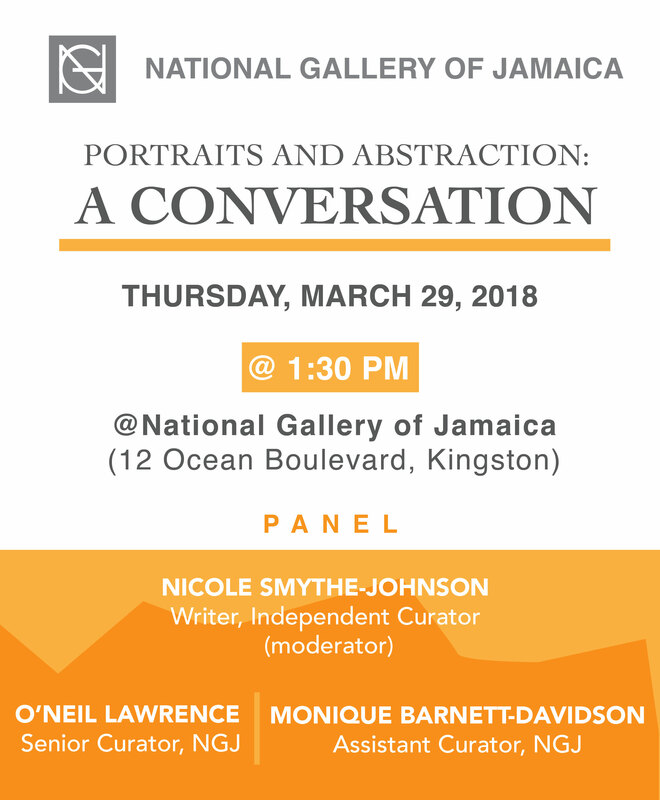 On Thursday, March 29, 2018, the National Gallery of Jamaica will be hosting a panel discussion entitled Portraits and Abstraction: A Conversation at 1:30 pm. This event will function as a reflection on our most recent exhibitions Explorations V: Portraits in Dialogue and Explorations VI: Engaging Abstraction, which ran from December 19, 2017 to March 25, 2018. The discussion will be moderated by independent writer and curator Nicole Smythe-Johnson and will feature Senior Curator O’Neil Lawrence and Assistant Curator, Monique Barnett-Davidson, curators of the latest installments in the National Gallery’s Explorations exhibition series which was initiated in 2013. Portraits in Dialogue examined the significance and conflicted politics of artistic portraiture in the development of Jamaican art from the 18th century to the present, looking at issues such as race, class, gender, as well as the ideas about art and the artist that are reflected in the portrait. Engaging Abstraction examined abstraction as a modern image making approach that deviates from the more literal and popularized representational choices practiced by artists from Jamaica, the Caribbean and its Diaspora. The significant impact of abstraction on Jamaican and Caribbean art can seen in our collection which features numerous works of art that qualify as abstract, or at least as abstracted. The exhibitions presented the foundations of two distinct yet dominant groups of representational choices practiced by artists, choices that can still be observed in contemporary artwork. Whether treated as separate disciplines or hybridized through a plethora of media, contemporary artists essentially make one of the two choices to explore an immense diversity of subject matter which include the social, the corporeal or the philosophical. 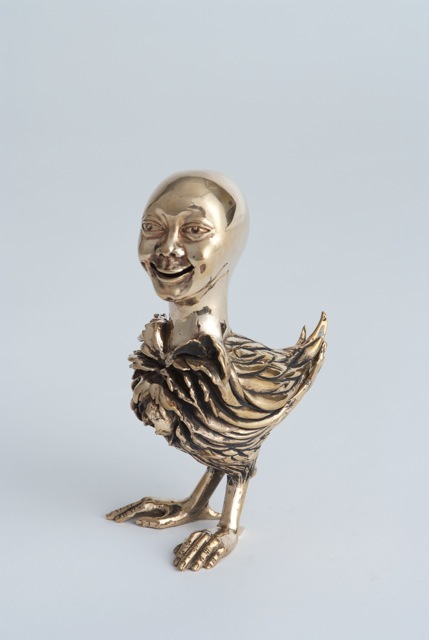 The curators of the National Gallery of Jamaica have reflected upon these concepts and ideas throughout some of its most recent and successful exhibitions and felt that the next edition of the Explorations series should explore these trends as historical continuities that are evidenced in our national collection. The public forum Portraits and Abstraction: A Conversation is free and open to the public. Brochures for the exhibitions will be on sale in the National Gallery Gift Shop. Explorations V: Portraits in Dialogue is on view from December 19, 2017 to February 25, 2018, and consists of a selection of portraits from our collection. The exhibition was curated by Senior Curator O’Neil Lawrence. 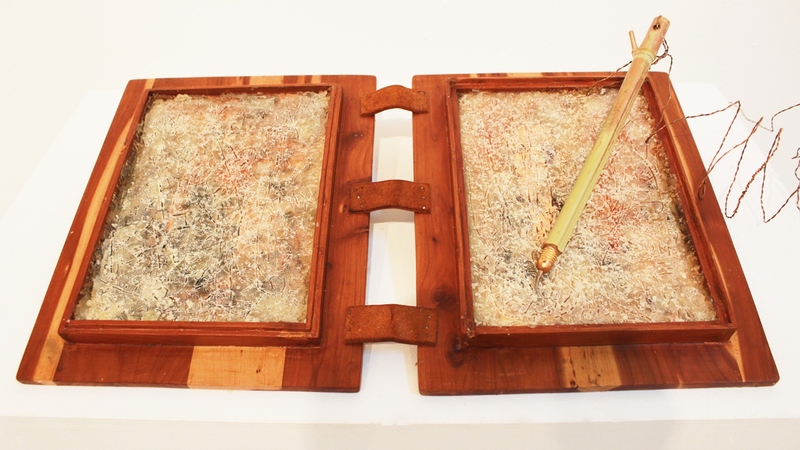 The Explorations series examines big themes and issues in Jamaican art. Explorations V: Portraits in Dialogue examines the significance and oftentimes conflicted politics of artistic portraiture in the development of Jamaican art from the 18th century to the present, looking at issues such as race, class, and gender, as well as the ideas about art, representation, and the artist that are reflected in the portrait. The Cambridge English dictionary defines a portrait as “a painting, photograph, drawing, etc. 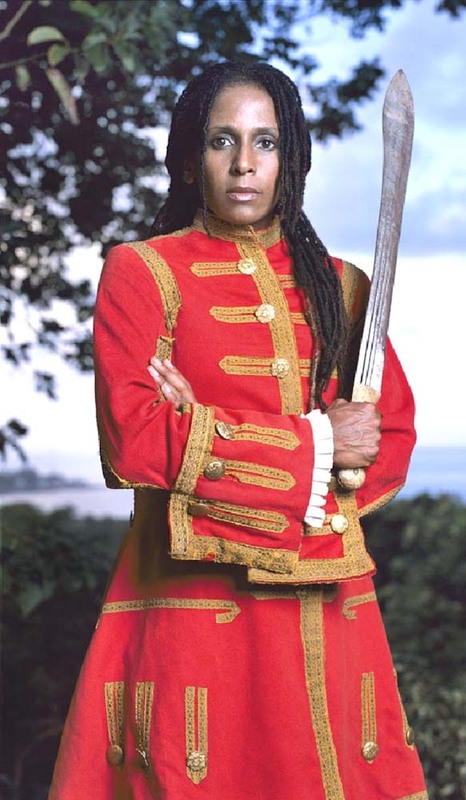 of a person or, less commonly, of a group of people,” to which we should of course add sculpture, and also notes that “a film or book that is a portrait of something describes or represents that thing in a detailed way,” as in, a portrait of life in twenty-first century Jamaica. Expanding the definition in this manner is also useful in the field of art, as it allows us to consider broader, narrative or symbolic definitions of what a portrait can be. The history of portraiture is almost as long as the history of art itself. In ancient times, and well into the last millennium, portraiture was almost exclusively connected to power and status and until modern times, very few portraits of common folk survive, in part because very few were made. This is evident in portrait art from the Plantation era in Jamaica: most extant portraits are of members of the plantocracy and these portraits have all the typical traits of conventional, commissioned Western portraiture, from the standardized academic poses and idealized features to the assumed self-importance of the sitters. These are the types of portraits that often inhabit the popular imagination and have significantly influenced the ways in which many viewers approach the genre. There are few depictions of black persons from that period that qualify as portraits. 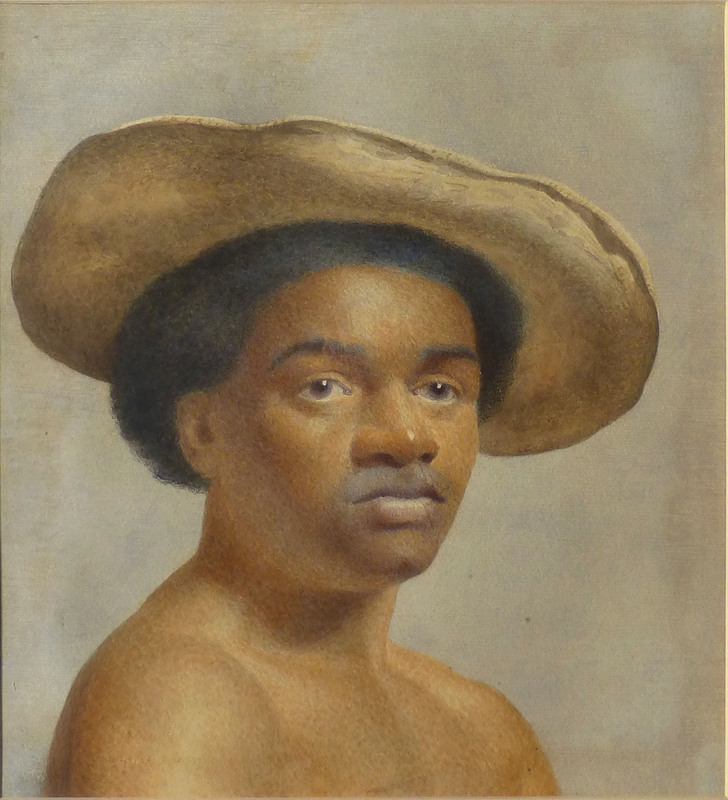 One is the unattributed portrait of a West Indian Boy (c1840), and, while the depiction is sensitive, it is of note that the boy’s (or man’s) name is not documented and that he is presented as a “type” rather than as a socially empowered individual. 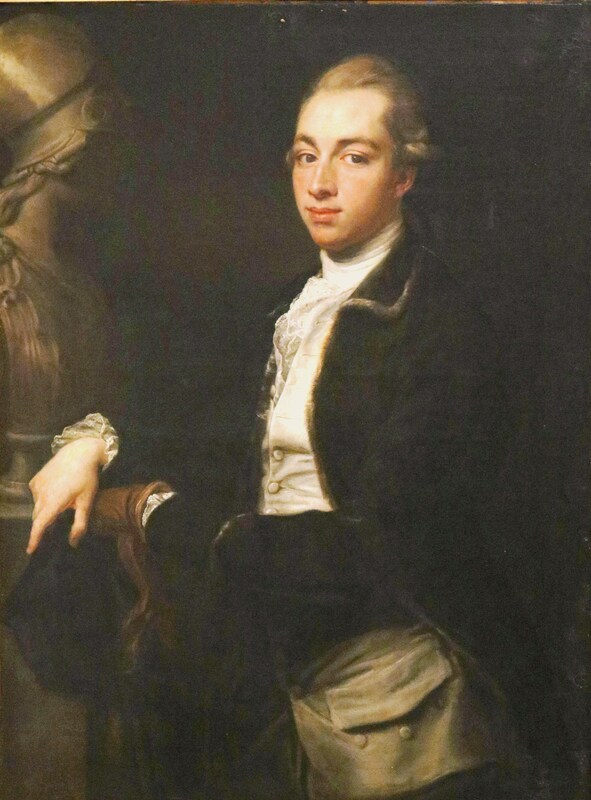 Portraiture was revolutionized and, to a great extent, democratized by the introduction of photography, as having one’s portrait made thus came within the reach of the middle classes, although the commissioning a painted or sculpted portrait remains the province of the wealthy and powerful, or is done for those who have achieved significant public status because of their contributions to society and not by accident of birth – the recently unveiled Usain Bolt statue by Basil Watson and the controversial Marcus Garvey busts by his brother Raymond Watson come to mind. The controversies that frequently surround such commissions illustrate that the politics of public portraiture are particularly high-stakes and fuelled by conflicting standards and expectations. Ruben Cabenda – I Am, I Was, n.d.
Digital technologies now shape many aspects of contemporary society and have completely transformed the global image economy. This has created myriad opportunities for individual and collective participation (and new associated dangers) and many lives, careers and causes are now enacted on social media, in ways that rely heavily on digital images. Ordinary individuals now have ready access to a vast visual archive that literally spans human history and contribute to this rapidly expanding archive on a daily basis. They do so by producing and circulating digital photographs of themselves and other images that capture their interest, in what is now an instantaneous and global network of exchange. Images have arguably never been as influential as they are today, in terms of their capacity to shape, reinforce, question or change ideas and convictions, and conceptions of self and community. This has significantly altered the traditional relationships between power, identity and visual representation. The following notes were contributed to the Explorations IV: Masculinities exhibition catalogue by its curator, O’Neil Lawrence. Masculinities opened on December 6, 2015 and continues at the National Gallery of Jamaica until March 5, 2016. While I feel privileged to have been part of all the exhibitions in the National Gallery’s Explorations series, co-curating the first, Natural Histories, with Nicole Smythe-Johnson, the second Religion and Spirituality with Veerle Poupeye and curating the third Seven Women Artists, the current edition, Masculinities, is somewhat different to me. It is different not because its thematic concerns are particularly unique amongst the concepts explored in previous Explorations exhibitions, but because the theme is related to my own academic work, on subjects in which I have a strong personal investment. Born in 1961 in Jamaica, Jasmine Thomas-Girvan attended the Parsons School of Design in New York, where she received a BFA in Jewellery and Textile Design. Thomas-Girvan currently lives and works in Trinidad. Other artists in the exhibition produce work that conforms less to narrow expectations about women’s art but nonetheless seems to reflect female perspectives. The sculptural and sometimes wearable work of jeweller Jasmine Thomas-Girvan explores the complexities of Jamaican and Caribbean histories as well as the cultural and political implications of those histories. 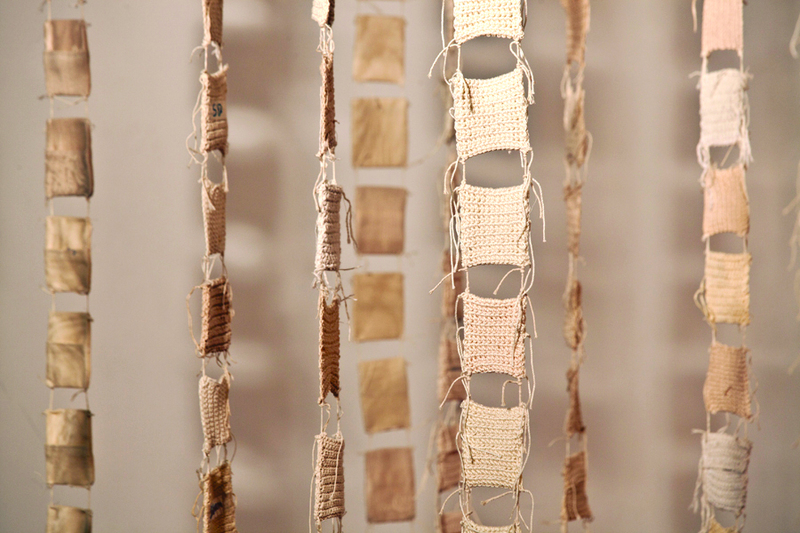 Her spectacularly surreal assemblages often employ, or are inspired by naturally occurring plant matter and actively utilise found objects that have a personal resonance with the artist. She often takes inspiration from Caribbean and Latin American literary sources. Olive Senior’s Gardening in the Tropics is a strong reference and Amazonia embodies the spirit of Senior’s words. Regally depicting, in bronze, wood and calabash, the type of woman many in this exhibition have had to be: balancing the concerns of childrearing with the other responsibilities that usually revert to women and still being able to express themselves artistically. 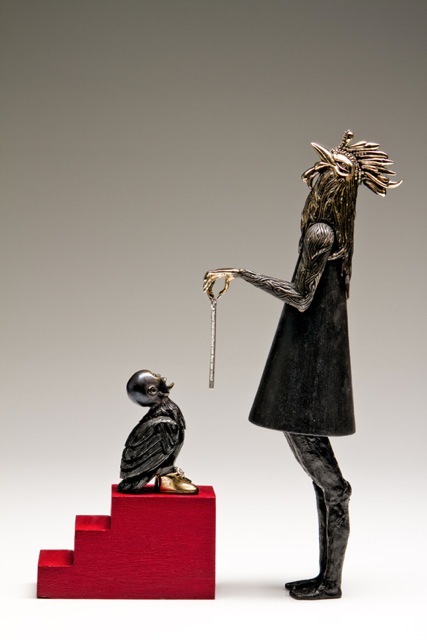 Born in 1952 in Kingston, Jamaica, Judith Salmon holds a graduate certificate in Museum Studies from the University of South Florida; an MFA from Johnson State University in Johnson, Vermont; a BA in Liberal Arts from Norwich University in Vermont, USA; and studied painting and printmaking at the Chicago Academy of Fine Arts, USA. Salmon lives and works in Kingston, Jamaica. 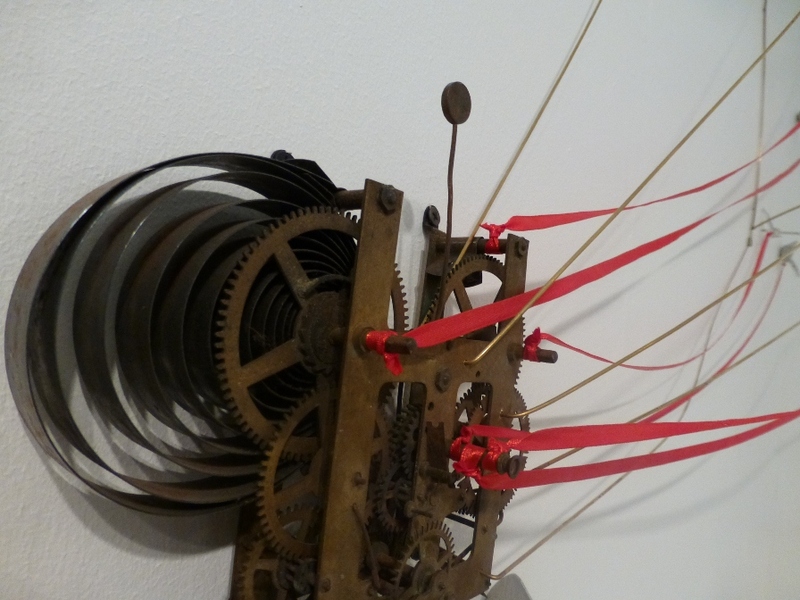 The dynamics of memory and the resonance of materials are at the heart of the installation and assemblage work of Judith Salmon. 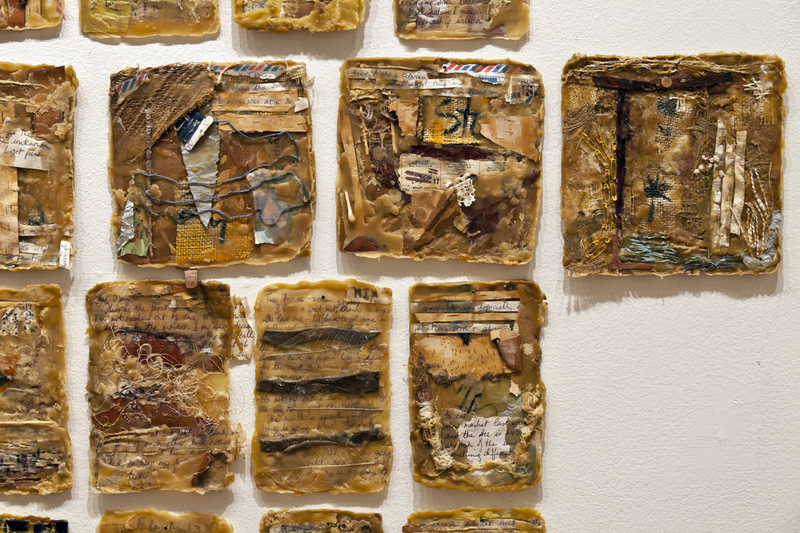 The multiple physical and conceptual layers of the work Palimpsests of Life, made from liquid beeswax and found objects, represent a tactile accumulation of experiences and explore the way in which memories are preserved, obscured or lost over time. The invitation to touch, to share in an experience is a real one in the interactive and ever-expansive Pockets of Memory which invites viewers to leave notes or other items of personal significance in the crocheted pockets enabling their experiences to become part of a work representative of the collective human experience.